The Specialità Golose are the ideal gift for lovers of Tuscan pastry art. 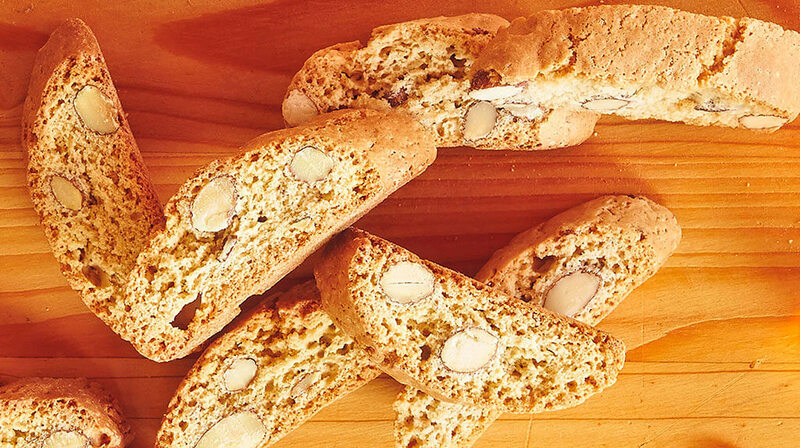 Inside you will find a rich selection of products to fill your festive moments with taste: from soft ricciarelli with cocoa and cocoa nibs to the inviting Delizie Toscane with figs and walnuts and finishing with the unmistakable cantuccini with chocolate chips. Wheat flour, sugar 27%, chocolate drops and chunks 22.5% (sugar; cocoa paste; cocoa butter; emulsifier: soy lecithin; flavouring), egg yolk 4.5%, eggs 4.5%, fresh pasteurized whole milk 4.5%, butter, raising agents: disodium diphosphate – sodium bicarbonate, honey 0.4%, salt, flavourings. May contain nuts.